The best way to learn how to sail is by practice. For younger children, an Optimist is the perfect boat. This lightweight boat with one sail responds directly to the wind and rudder. Therefore, young sailors will almost automatically discover the basics of sailing. The younger you start with sailing, the more easily you become familiar with the water. The Laser Vago is a modern high-speed two-man sailboat. 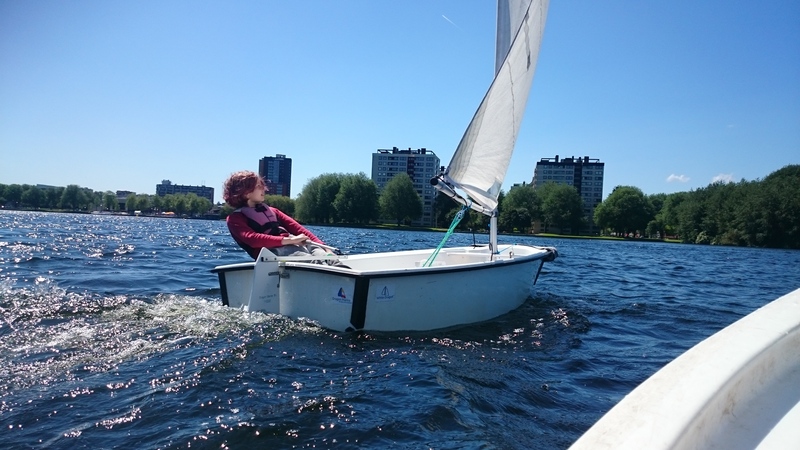 Because of its versatility, this boat is not only suitable for young sailors, but also an exciting challenge for beginners and advanced sailors. The boat is packed with modern techniques, such as a genaker, furling jib and reefed mainsail, which promotes comfort and fun while sailing. The Valk is a tour sailboat. The weight of the heavy keel provides stability and a steady course. The sheltered cockpit has plenty of room for the crew. The Valk is clearly more oriented towards comfort rather than speed. Ideal boats to experience wanderings. 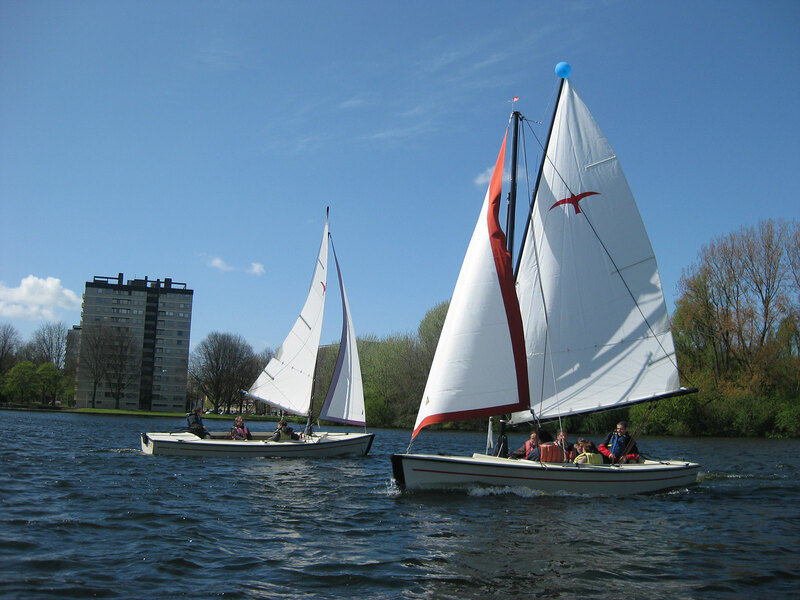 These boats can be rented almost everywhere in the Netherlands where sailing is possible. This training is intended for people who have never sailed before. The basics of sailing will be learned systematically. The diploma includes the very basic skills, such as rigging the boat, steering, operating the sails and tacking. Next to that, the theory of safety and a number of navigation rules on the water will be thought as well. Presuming favorable conditions; smooth waters and moderate wind up to windforce 3 Beaufort. People who intend to attend the training sessions at level II are supposed to know the basics of sailing, as covered in Keelboat I. This diploma includes, besides the aforementioned skills, also maneuvers such as tacking at a more advanced level, arrive at windward shore and man overboard, together with the more advanced accompanying theory. Presuming favorable conditions; not too busy waterway, up to windforce 4 Beaufort. Being able to navigate on your own is one of the ultimate goals of this training. This diploma includes basic and advanced maneuvers such as arriving to windward shore and lee shore, anchoring and be liberated from running aground under all circumstances. Presuming favorable conditions; up to windforce 5 Beaufort. The theory is consistent with the higher advanced level. 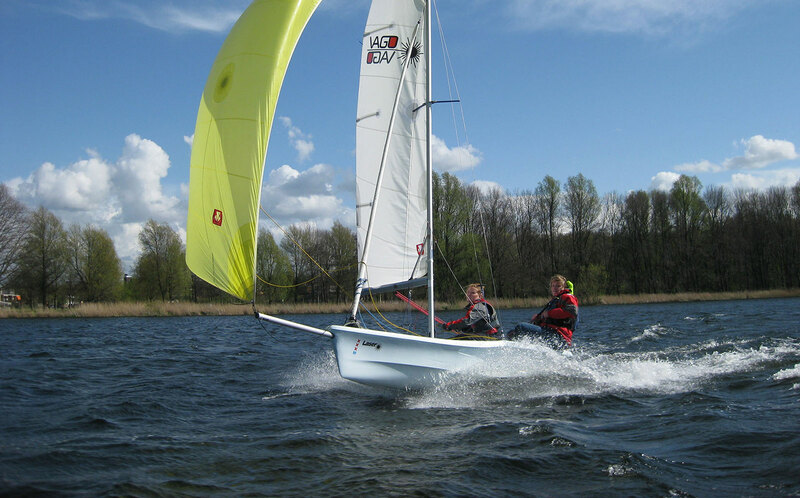 This training is designed for children who have never sailed before. During this training, the principles of sailing will be thought systematically. The diploma includes the very basic skills, such as rigging the boat, steering, operating the sails and tacking. Next to that, the theory of safety and a number of navigation rules on the water will be thought as well. Presuming favorable conditions; smooth waters and moderate wind up to windforce 3 Beaufort. Children who want to follow this course, should know the basics of sailing, as discussed with Youth Sailing I. The diploma encompasses the earlier mentioned basic maneuvers and more complex maneuvers such as tacking and arriving at windward shore, accompanied by the necessary theory. Presuming favorable conditions; not too busy waterway, up to windforce 4 Beaufort. The diploma includes basic and advanced maneuvers, such as arriving at a windward shore and lee shore. Furthermore, special techniques and the principles of racing will be discussed. Presuming favorable conditions; up to windforce 5 Beaufort. The theory is consistent with the advanced level. This course is designed for participants who have never sailed before. During training, the principles of sailing will be thought systematically. The diploma includes the very basic skills, such as rigging the boat, steering, operating the sails and tacking. Next to that, the theory of safety and a number of navigation rules on the water will be thought as well. Presuming favorable conditions; smooth waters and moderate wind up to windforce 3 Beaufort. People who intend to attend the training sessions at level II are supposed to know the basics of sailing, as covered in level I. This diploma includes, additional to the aforementioned skills of level I, also maneuvers such as tacking, arrive at windward shore and man overboard as well as the accompanying theory. Presuming favorable conditions; not too busy waterway, up to windforce 4 Beaufort. This training includes basic and advanced maneuvers such as arriving at windward shore and lower shore. Furthermore, there are special techniques and principles discussed such as racing. All these maneuvers should be performed under all circumstances in inland waters up to force 5 Beaufort. The theory is taught at a more elaborate advanced level.